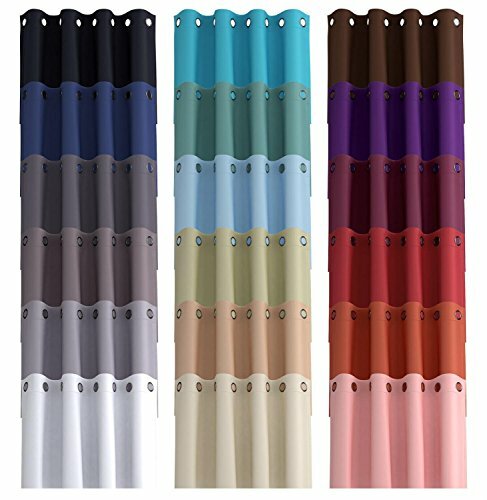 For this post, I have put together a collection of the best blackout curtains currently available. 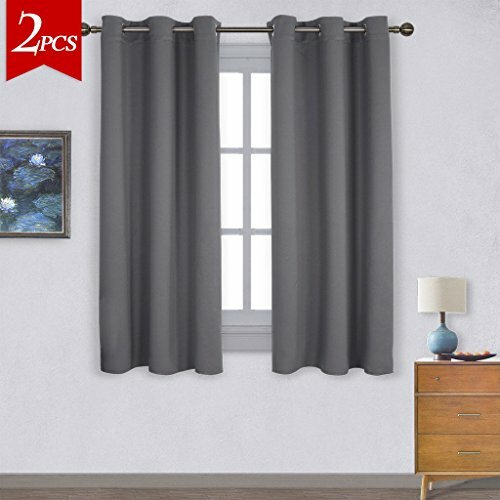 Whether you are trying to keep the sun out to reduce TV glare or get some extra sleep in the morning, these blackout curtains will get the job done. 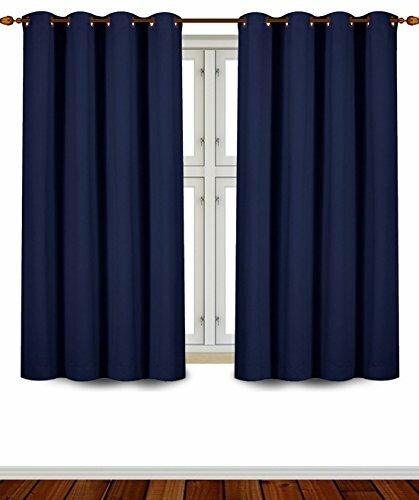 These curtains also help to reduce outside noise from invading your home. The following blackout curtains use high quality fabric and materials to meet your needs. 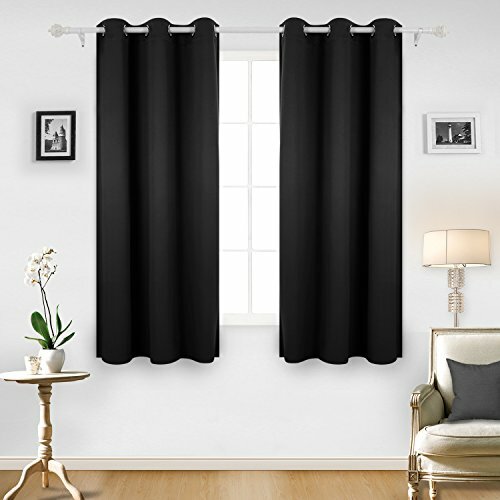 So here is my list of The 10 Best Blackout Curtains. Flamingo P Curtains are made of two thick layers to protect against heat, cold, and light which makes them ideal curtains for winter. Grommets slide easily on a decorative rod. 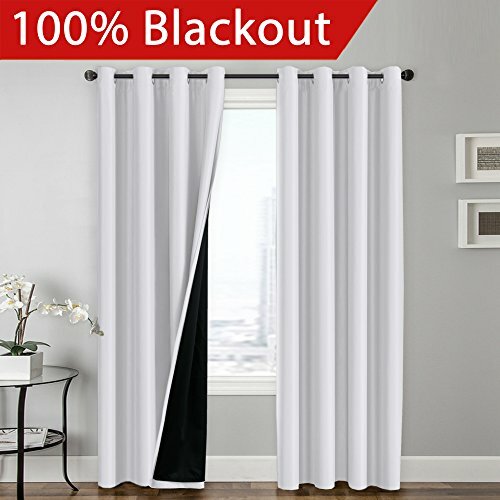 Get a restful nap during the day or keep the bright glare of the sun off your TV with this blackout curtain panel, which is made of a thick material to block excess light. 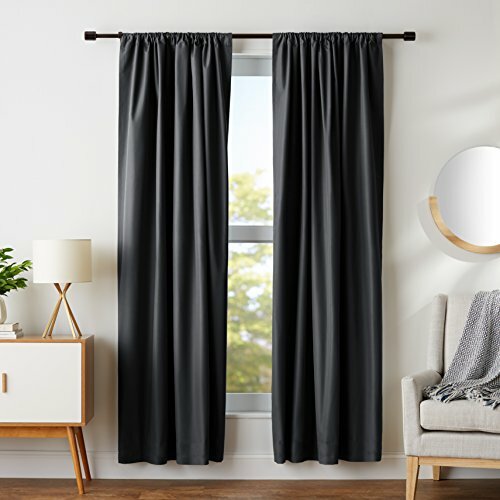 The grommet-top curtain is long enough to block out floor-length windows and doors without allowing any light to sleep out at the top or bottom. Bring warmth and style to your home with high-quality curtain panel. 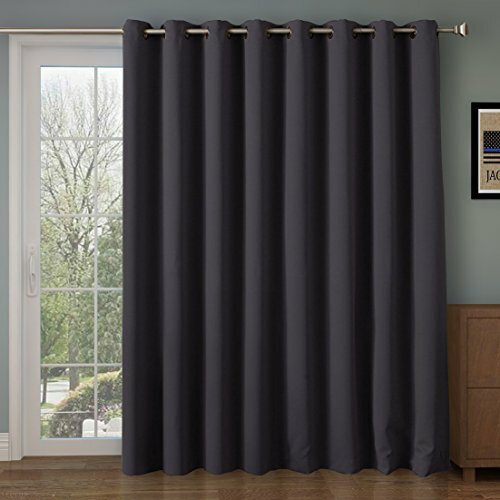 Block out sunlight and harmful UV rays with this AmazonBasics blackout curtain. The room-darkening curtain helps keep a bedroom exceptionally dark—perfect for afternoon naps or morning sleep-ins. In addition to promoting better sleeping conditions, the curtain ensures complete privacy and helps reduce outside noise for a quieter indoor environment. The blackout curtain features two panels made of innovative triple-weave 240 GSM polyester fabric, which not only effectively blocks out light, but also functions as an energy-saving barrier, insulating against heat and cold to help keep rooms cooler in the summer and warmer in the winter. Unlike stiff-liner or foam-backed alternatives, the 100% fabric curtain blocks out light, heat, and cold while still being soft and light, elegantly framing windows with a sophisticated drape and ensuring long-lasting, high-quality performance. Two Velcro ties are included for gracefully pulling back the curtain panels. The curtain can go in the washing machine for convenient, hassle-free home care as needed. Whether you need to create the ideal working place, the perfect sleeping environment, or just want to add a decorative touch and breathe new air into your living room. 100% polyester material they black out up to 98% of sunlight and harmful UV rays. Can reduce outside noises up to 20 dB. Can help you to lower your heating and cooling costs, because they are thermal weaved, reducing heat or cool loss. Eight metal grommets, with 1-3/5 inner diameter. Don't forget the curtain rod. Super-soft material made out of 250GSM of polyester fabric. Each set includes two panels that effectively block out unwanted light and insulate heating or cooling systems. 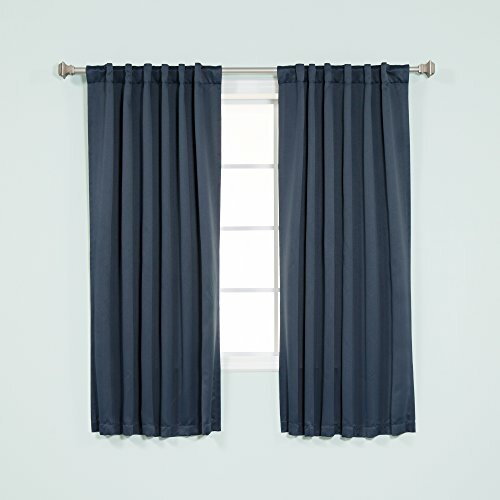 Curtain’s design fits easily with standard curtain rods and slide easily with grommets. Each curtain is 52cm wide and 84cm long, and comes with 8-Grommets and 2 tie-backs, which makes them fit and fall for your window in the right manner. Each curtains contains 8 silver steel grommets that have a large diameter of 1.6 in. The heavy microfiber blackout curtains are interwoven by top fabric layer. High density black yarn and back fabric layer with advanced triple weave technology. Protect your privacy and reduce light from coming in. Can also protect your furniture, floors and artwork from the ravages of the sun. Made of high quality super soft innovative triple-weave 230 GSM polyester fabric, which not only effectively blocks out light, but also functions as an energy-saving barrier, insulating against heat and cold to help keep rooms cooler in the summer and warmer in the winter. 100% fabric curtain blocks out light, heat, and cold while still being soft and light and ensuring long-lasting, high-quality performance. These thermal blockout curtains will completely blackout your rooms, keep light and out and cool homes during hot summers, keep heat in and cold out during cold winters. The Best Home Fashion Basic Thermal Insulated Blackout Curtains will transform your home by adding both warmth and elegance. These blackout curtains will reliably keep out the light for the day sleepers, graveyard shift workers, students, and more. Two hanging options: back-tab and/or rod pocket for versatile styling. Note: panels should measure 2-3 times the width of your window to allow for the waves of the curtains. Miuco Blackout Curtains for Bedroom has invented a simple elegant solution: non-toxic thermal insulated blackout curtains - the most natural and quick way to transform your bright and noisy bedroom into a sleep paradise. Miuco window blackout curtains has a very soft feel by using a high quality material. Densely woven fabric acts as an additional sound barrier. Reduces outside noises to create a quiet and peaceful environment. Miuco creative designed weighted hem in the both bottoms, makes the curtains hang straight. Darker colors typically have a better blackout effect (blackout effect from 90% to 98%). 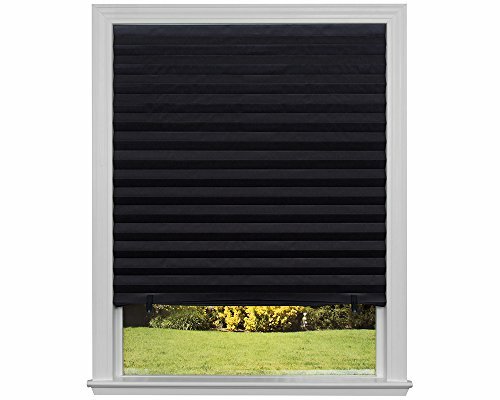 Blocks 99% of light for complete privacy, light control and UV protection. No tools required for installation, install in seconds without a drill, screws, or brackets. No cords for a clean look and child safety. Use included clips to raise and lower the shade. Easily adaptable, so it works as a stand-alone solution, or easily layer behind existing window treatments. Durable paper will not yellow and crack from sun exposure. Rose Home Fashion Super soft Thermal Insulated Blackout curtains use the New Sandwich Technique that will block out up to 99.8% of sunlight. Having the heavy, multi-layered micro-fiber blackout window curtains or drapes can make a world of a difference in reducing the amount of light that comes in from outside. Comes with strong grommet rings for easy installation and smooth sliding over a rod. 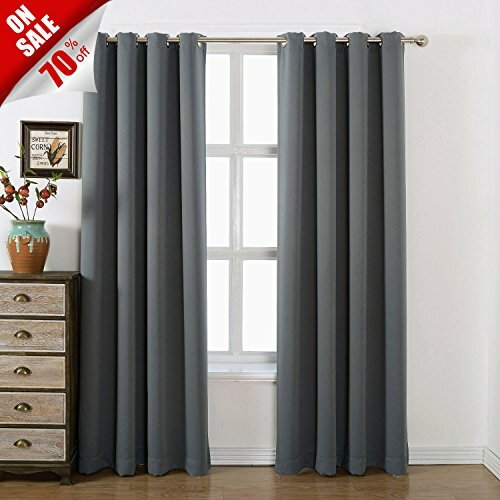 I hope this list of the best blackout curtains was helpful.